We're just going to come out and say it: The cronut tasted like disappointment—especially after the Internet's overhype. So now that another hybrid is being introduced, we're not sure how to feel. 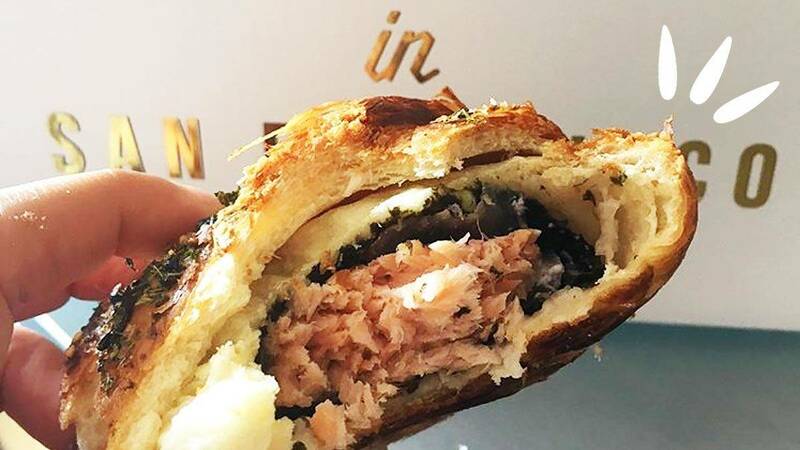 Created by SF-based eatery Mr. Holmes Bakehouse, the crossushi has actually been around for years, but only recently has it been making the rounds on social. It is a "croissant topped with sesame seeds and filled with smoked salmon, wasabi, pickled ginger, and nori seaweed. Kikkoman soy sauce is served on the side." Think your tastebuds are up for this Japanese-French dessert hybrid?